Big Week for the Newman Lab! 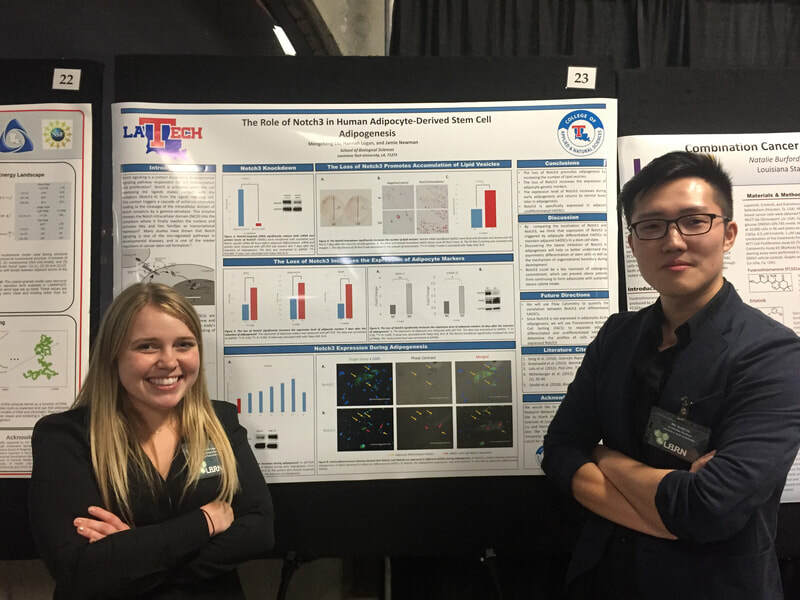 Last week was a busy week for the lab and especially some of our undergraduates. On Monday, April 8, Hannah Logan successfully defended her honors thesis. 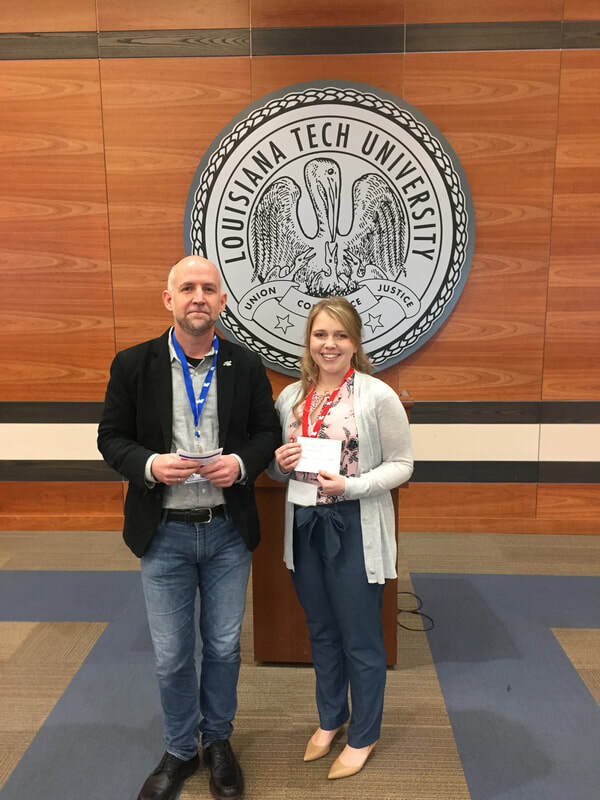 This is a rare achievement by students who pursue the undergraduate honors program at Louisiana Tech University. Hannah is only the second undergraduate from the College of Applied and Natural Science to complete a thesis. 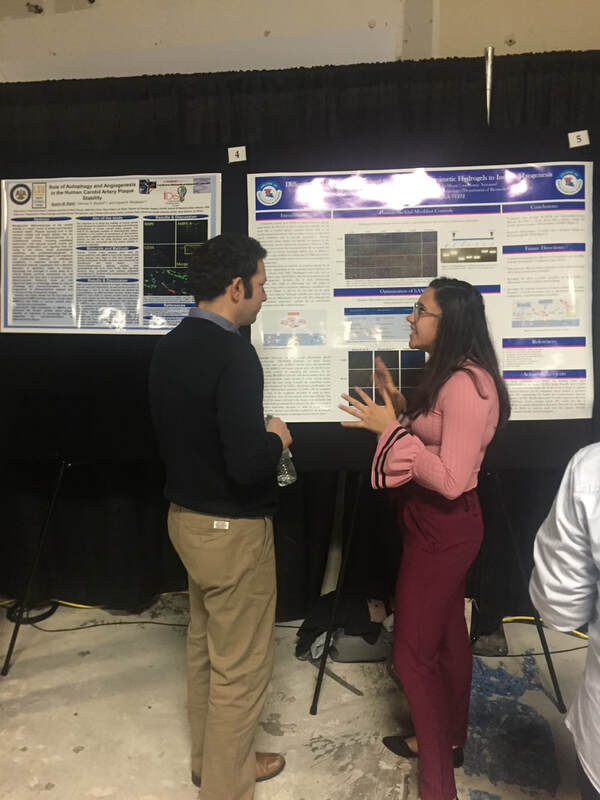 She worked hard and did an outstanding job, representing not only her research but all that she learned by participating in undergraduate research. Hannah graduates in May and will be attending medical school in the fall. 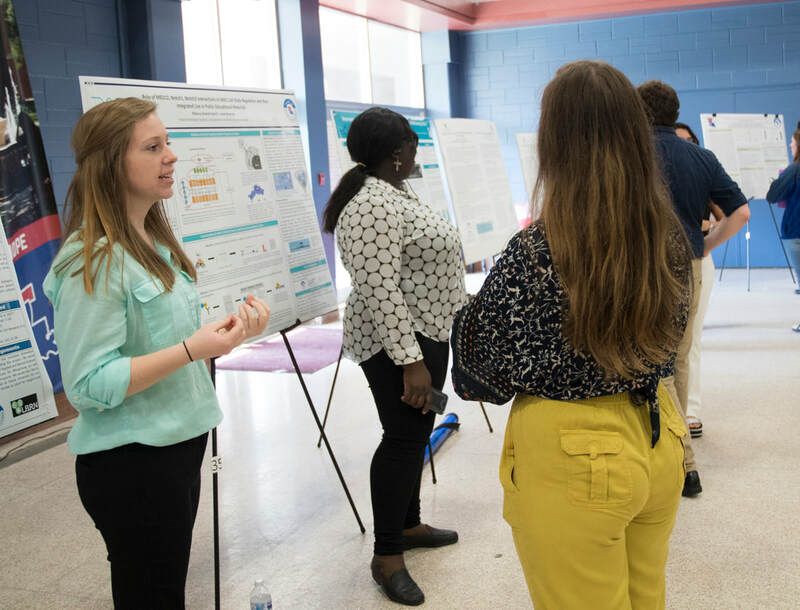 On Thursday, April 11 all of the lab presented at the college's annual research symposium. Hannah Logan, Conner Hartupee, and Chris Miller gave oral presentations and Rebecca Hodnett, Sree Venigalla, Connor Bennet, Joseph Straub, India Pursell, Heather Vogel, and Scott Liu gave poster presentations Conner Hartupee was recognized by the School of Biological Sciences as a featured student, Hannah Logan was awarded 1st place in the undergraduate oral presentation competition, India Logan and Heather Vogel tied for 1st place in the undergraduate Biological Sciences poster competition. 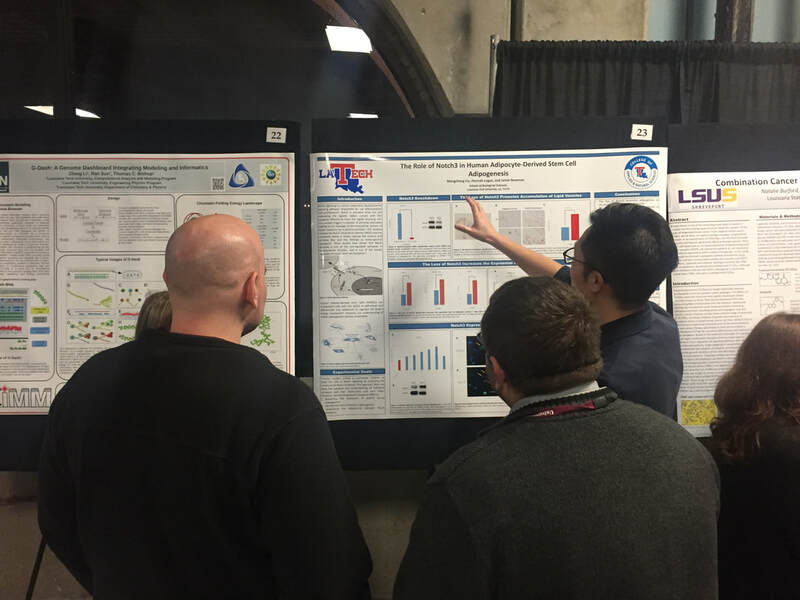 Joseph Straub and Conner Hartupee were awarded 2nd place in the graduate poster competition, and Scott Liu was awarded 1st place in the graduate poster competition. A great day for the Newman Lab. 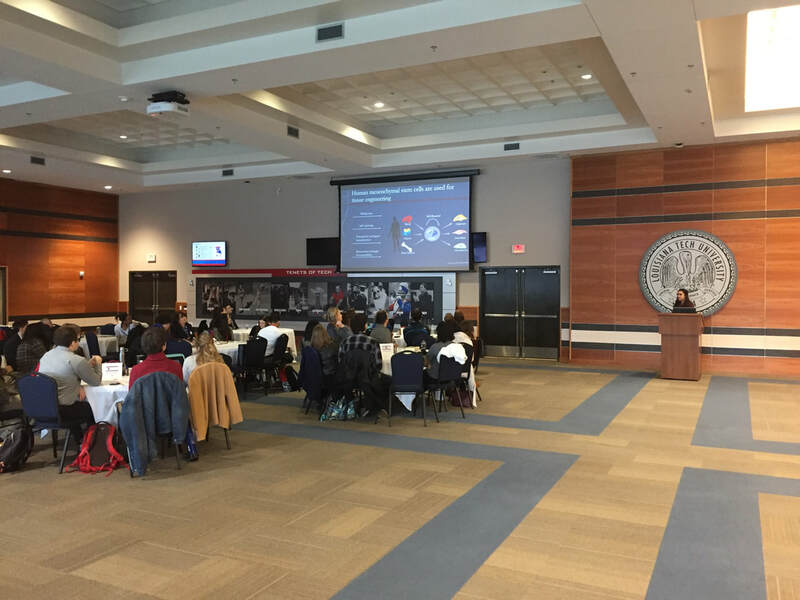 Finally, on Thursday afternoon and Friday morning a group of these same students traveled to Grambling State University for the 8th annual University of Louisiana System Academic Summit. 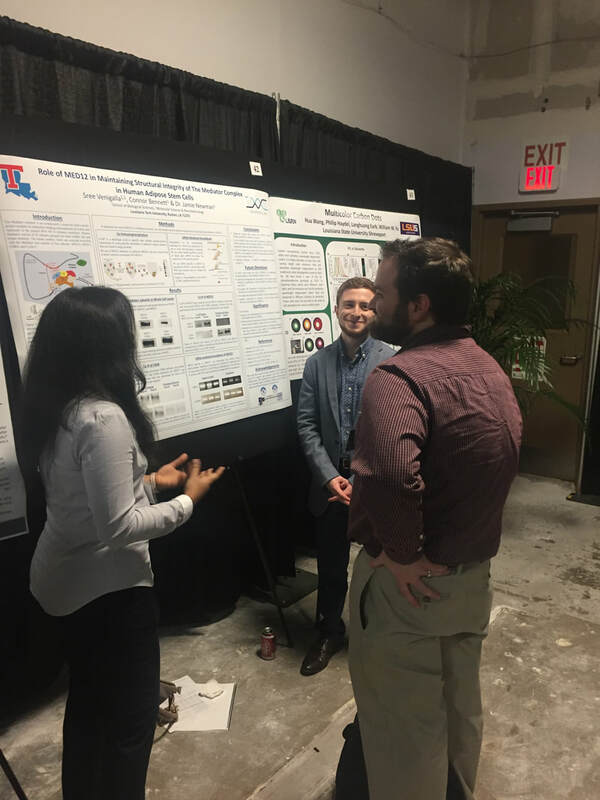 Students presented posters and oral presentations on their research, representing Louisiana Tech University. 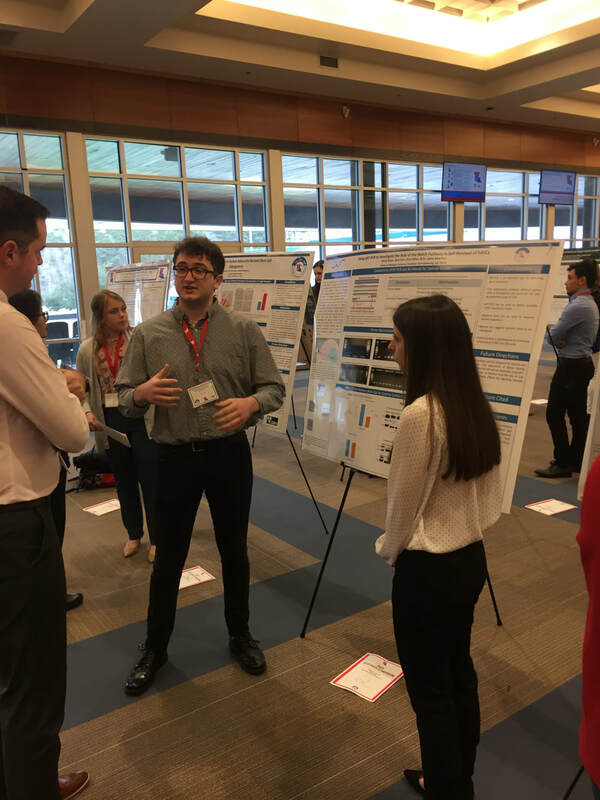 Members of the lab made up 4 of the 10 students/research presentations selected to represent the University at this annual event. Winter 2019 graduate Avery Bryan was recently admitted to LSU Schoool of Medicine in Shreveport as part of the entering class of Fall 2019 . 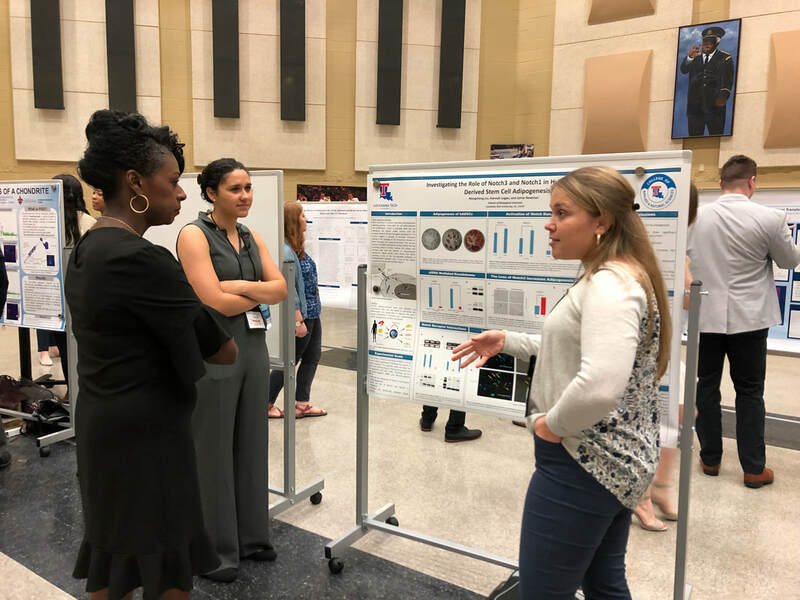 Avery participated in undergraduate research in the lab for 2 years and in that time presented at several conferences and symposium. 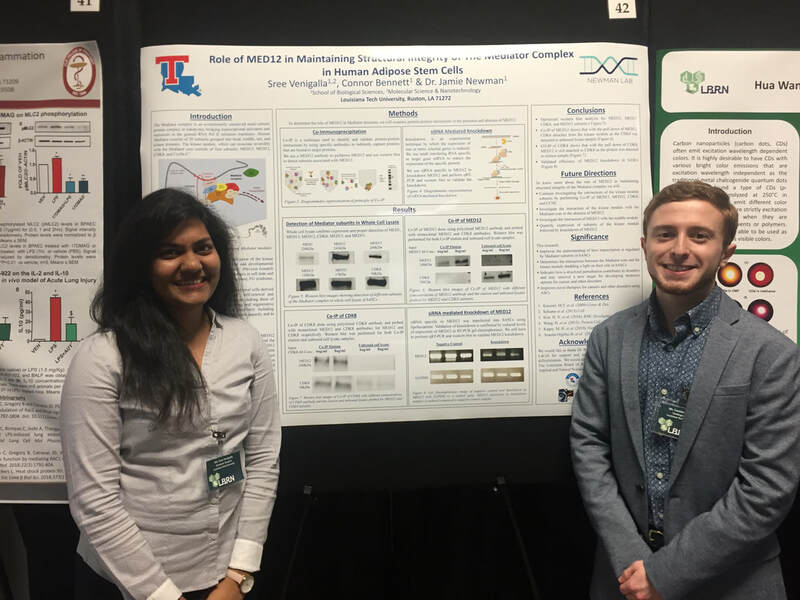 She was awarded a CBERS Undergraduate Research Award in 2018 and most recently Avery her labmate John Bradley Cart were awarded 1st place in the Louisiana Tech University Undergraduate Research Symposium and will represent the University at the University of Louisiana Academic Summit next week in Grambling, LA. I am so proud of Avery - her hard work, dedication, and continued pursuit of her goal to attend medical school has definitely paid off! 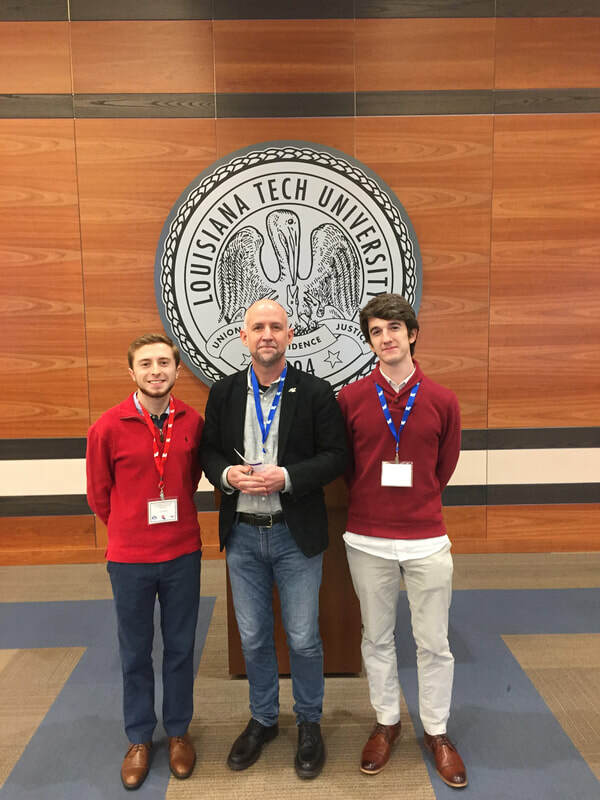 This past weekend I took 13 members of the lab down to Southern University in Baton Rouge to attend the 93rd Annual Louisiana Academy of Sciences Meeting. 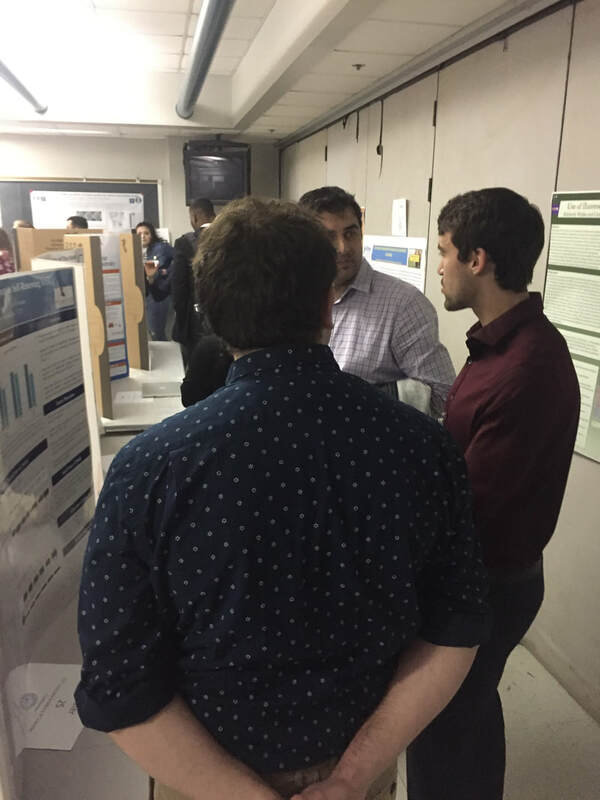 The students did a great job presenting posters and oral presentations highlighting their research projects. 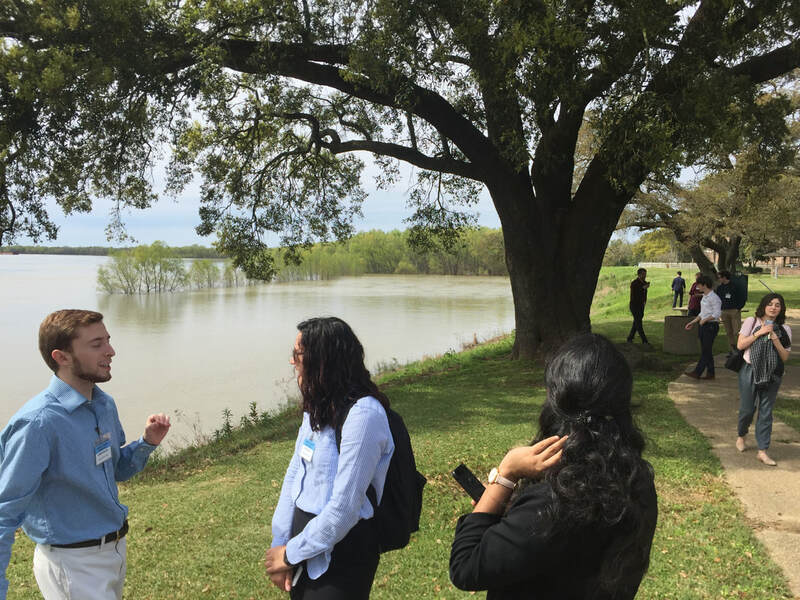 They also enjoyed some time outside looking at the Mississippi River that borders the campus. 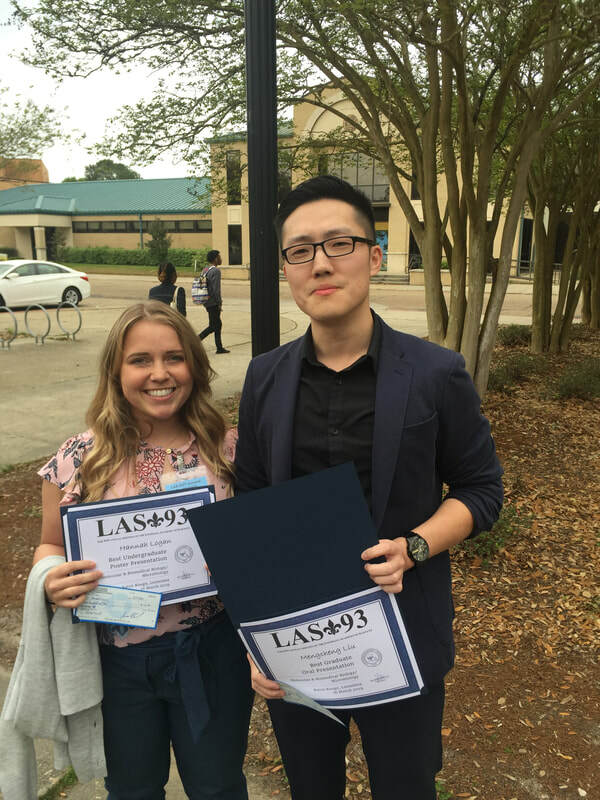 Awards are given to the top undergraduate and graduate student presentations in various academic disciplines and this year Hannah Logan won 1st place in the undergraduate poster competition for Molecular, Biomedical, and Microbiology and Scott Liu won first place in the graduate student oral presentation competition for the same discipline. Everyone did a great job!! 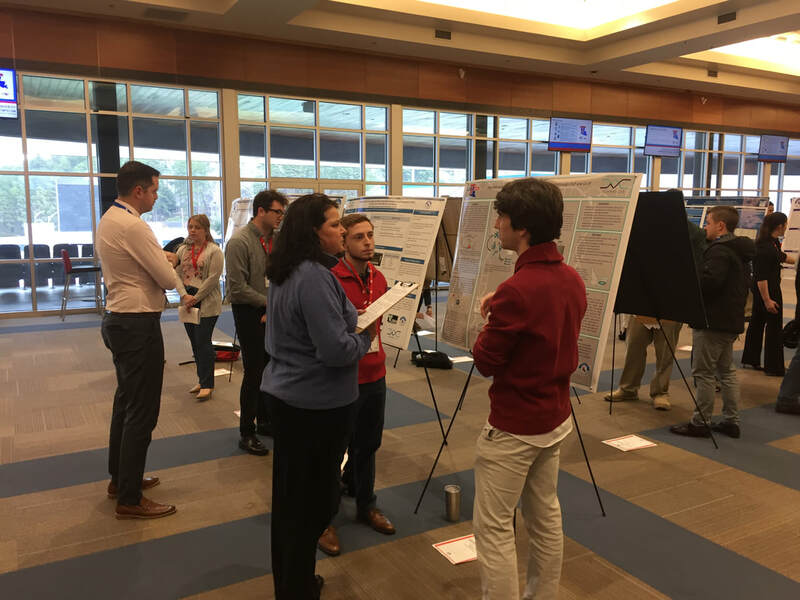 Today was the Louisiana Tech Undergraduate Research Symposium where students from across the University had the opportunity to share their research through poster and oral presentations. 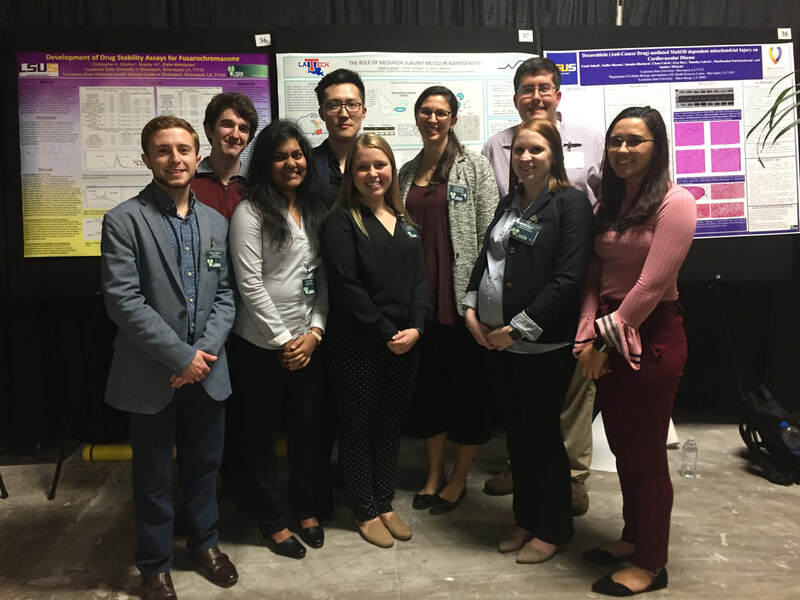 Six students from the lab participated in the event representing the lab, the School of Biological Sciences, and the College of Applied and Natural Sciences. 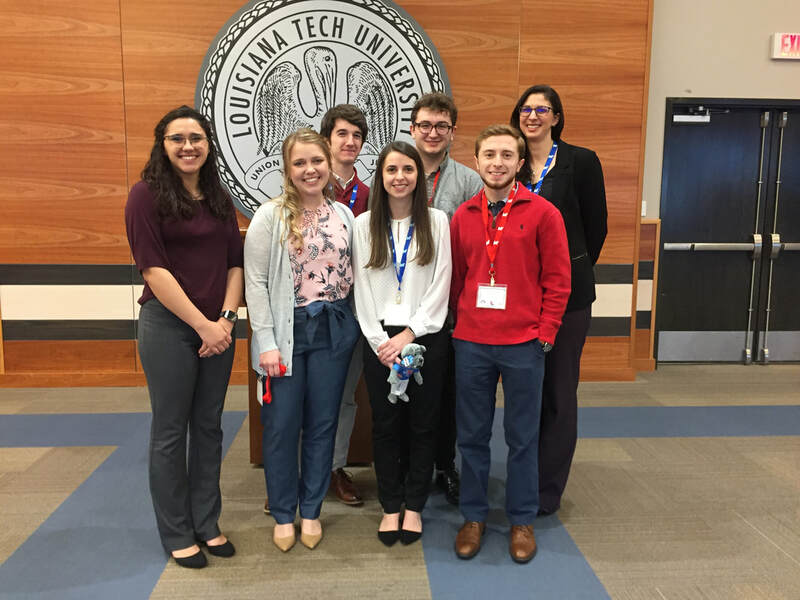 They all did a great job and all of them will move on to represent the University at the 2019 University of Louisiana Academic Summit later this spring. Over the weekend I was joined by 8 students for the Louisiana Biomedical Research Network Annual Meeting. 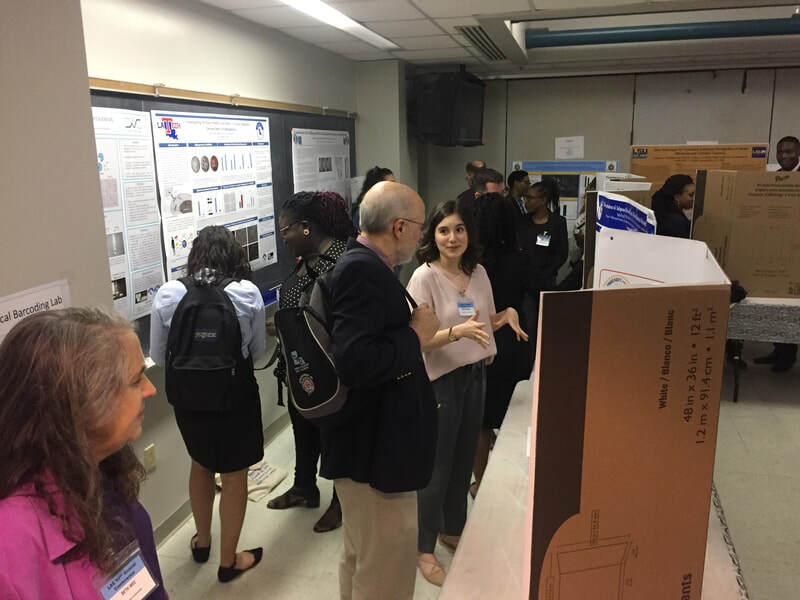 The students presented 4 posters and did a great job sharing their science with other students and research faculty from across the state. 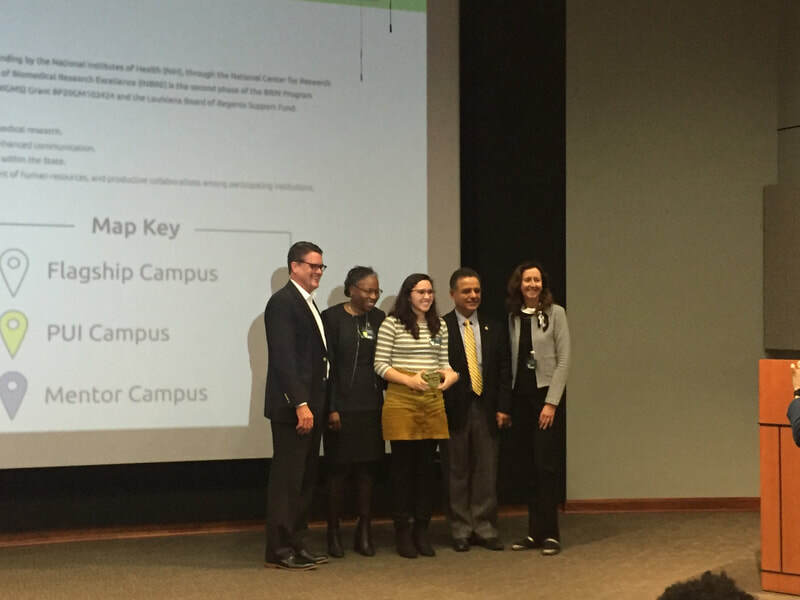 ​ A special shout out and congratulations to undergraduate India Pursell for receiving 2nd place in the undergraduate poster competition!!! 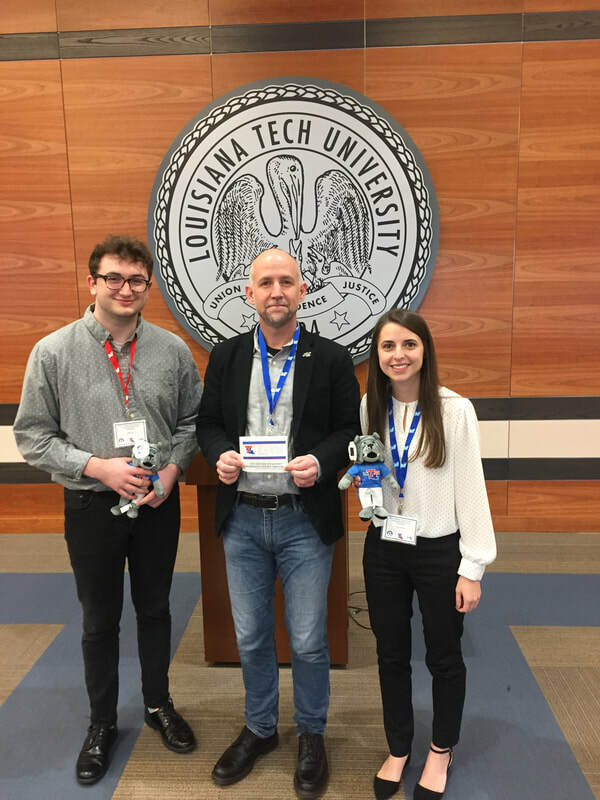 This past weekend a few members of the lab traveled to Shreveport for the annual Louisiana Space Consortium Meeting. 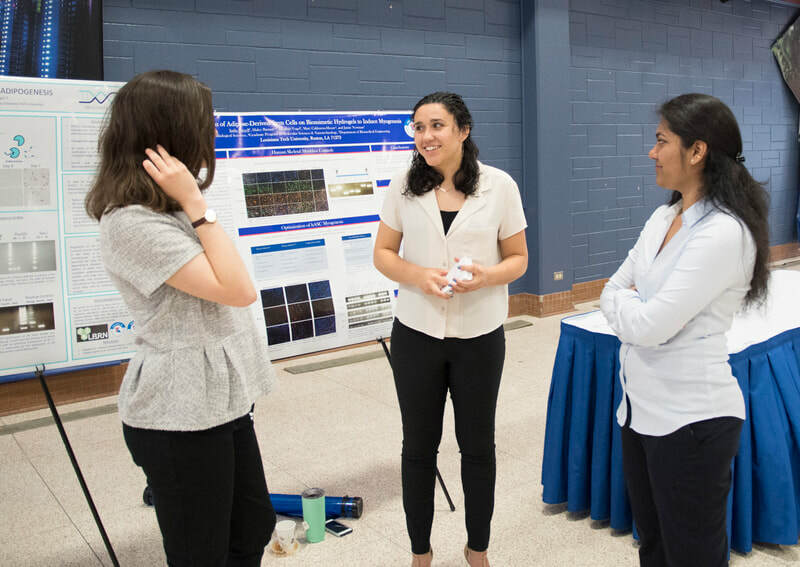 There were talks from faculty and students about a variety of research projects related to NASA and space travel. We learned a lot and as always enjoyed visiting with our colleagues from across the state. Thank you to LaSPACE for supporting our students India Pursell, undergraduate in Biological Sciences, a 2018-2019 LURA recipient and Haley Pursell, graduate student in Molecular Sciences and Nanotechnology, a recipient of a 2018-2019 GSRA. 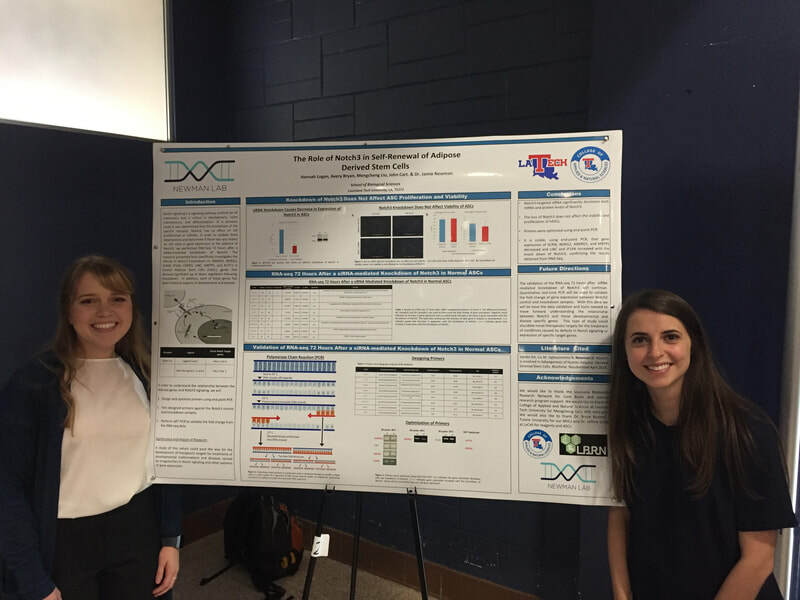 Sophomore Heather Vogel has also joined the project and was able to be a part of her first poster presentation! Fun bonus was getting to see former Newman Lab member and current medical school student, Matt Busby! 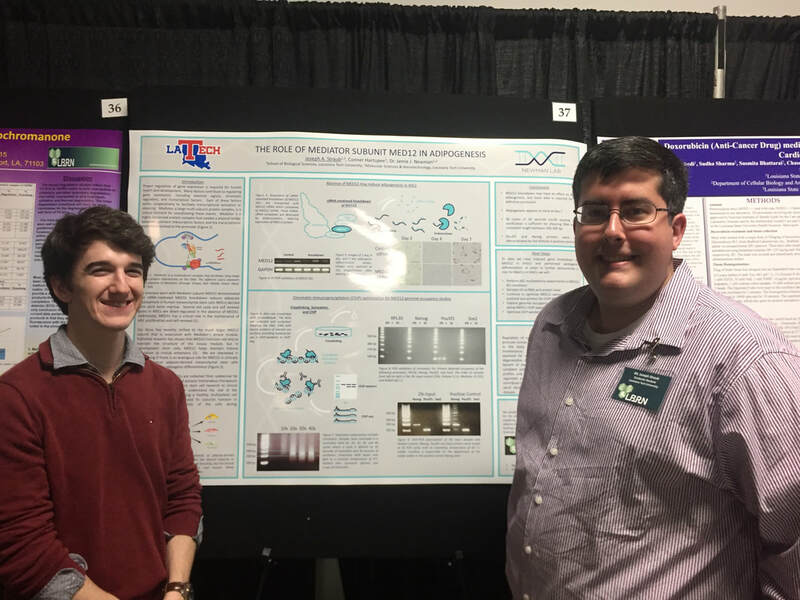 Erik Beadle was recently featured as a graduate of Biological Sciences at Louisiana Tech. Erik completed his BS in Biological Sciences and then continued to work in the lab to earn his MS in Molecular Science and Nanotechnology. Erik was a great student who demonstrate a strong work ethic and compassion for those around him. I have missed having him in Carson-Taylor Hall but am so proud of what he is achieving in a PhD program at Vanderbilt. Erik is currently a 3rd year PhD candidate at Vanderbilt University in the program for cancer biology. He recently passed his qualifying exams, a huge milestone in graduate school. Erik works in the lab of Dr. Julie Rhoades, where his lab predominantly focuses on tumor induced bone disease (TIBD). They use engineering and biological approaches to block tumor cells’ ability to induce bone resorption by disrupting the “vicious cycle”, which is outlined in the figure below. This includes the use of 3D printed scaffolds that mimic the internal architecture of bone and drug delivery nanoparticles to model tumor drug response and tumor cell behavior in the bones. Tumor induced bone disease is often the result of tumor cells secreting proteins that coax bone cells to destroy bones faster than they build them. The particular bone tumor that Erik studies is osteosarcoma, a very aggressive pediatric tumor. He studies the molecular mechanism that the Gli2 protein uses to induce bone breakdown by osteosarcoma. You can learn more about his lab here. ​Outside of the lab Erik was able to rotate with clinicians in the oncology clinic for a course through Vanderbilt aimed at understanding precision cancer medicine. This course is largely beneficial for PhD students to see how their research translates back to the clinic. 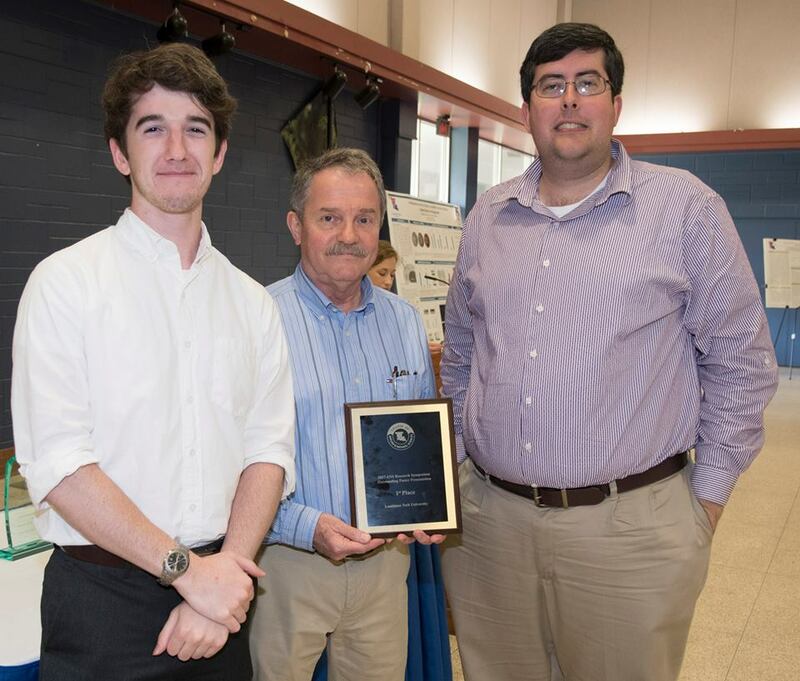 Erik has also begun to become more involved in attending many of the cancer oriented events around Nashville, and was recently named the top individual fundraiser at the American Liver Foundation’s Liver Life Walk in September. Outside of that he’s been enjoying what Music City has to offer! Learn more about his graduate program and the IGP at Vanderbilt! Feel free to email him with any questions about graduate school, Nashville, or Vanderbilt at erik.p.beadle@vanderbilt.edu. The vicious cycle of tumor induced bone disease: Tumor cells colonize the bone microenvironment and secrete PTHrP. PTHrP stimulates osteoblasts to express RankL, which promotes osteoclast differentiation and accelerates bone resorption. This bone resorption releases matrix bound growth factors that promotes tumor growth. Gli2 is a transcription factor of the Hedgehog pathway that increases PTHrP expression and bone resorption. Joseph Straub, a PhD student in the lab, presented at the weekly biology seminar on his summer internship. 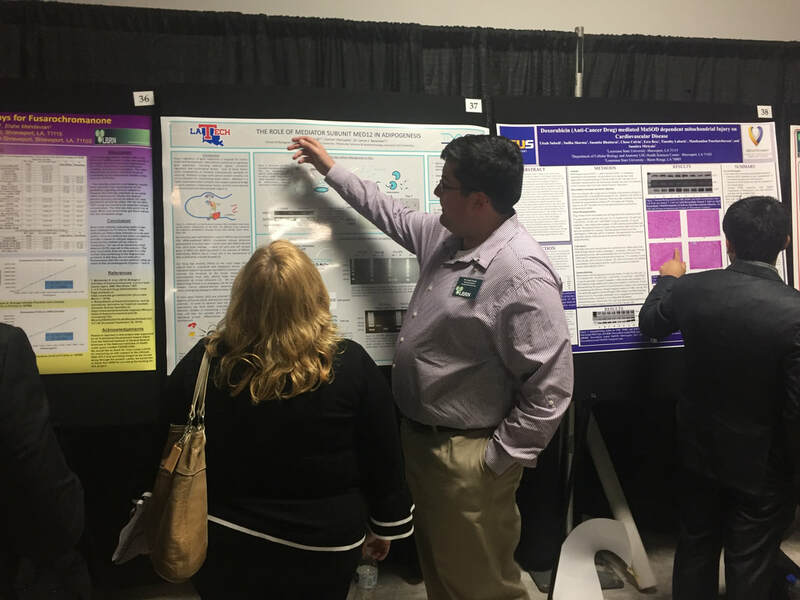 Joseph, with the support of New Mexico's INBRE and the Louisiana Tech's School of Biological Sciences, spent 6 weeks in New Mexico learning skills in bioinformatics. 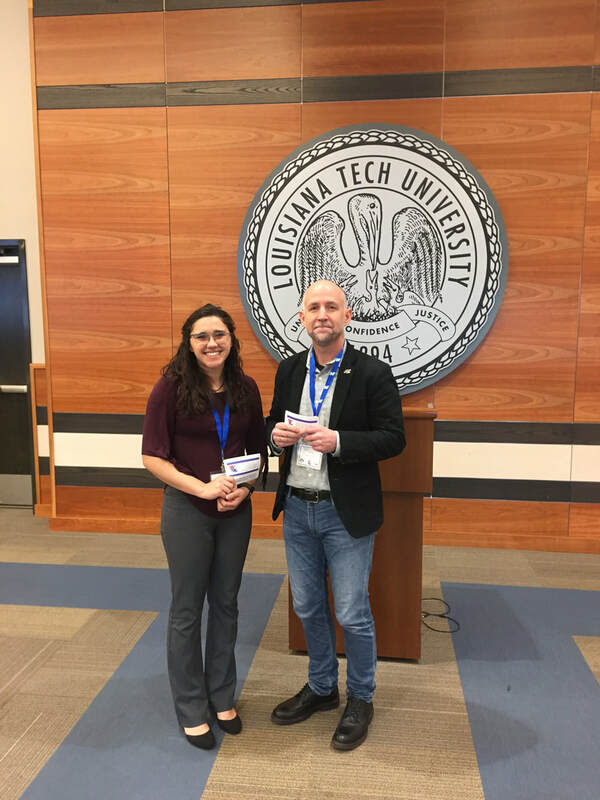 He shared his experience with undergraduates, graduate students and faculty, discussing the basics of bioinformatics, applications, and his experience away from Louisiana in cooler, dryer New Mexico! He did a great job introducing people to a necessary and evolving field of biological research! The University has begun a project to regularly feature an academic program with a video, an undergraduate profile, a faculty profile, and an alumni profile. I am proud to say that the Newman Lab is featured in many of the promotions this week! I was the faculty feature, former undergraduate and graduate student, Erik Beadle, was the featured alum, and there is a brief second of me and my students in the video. It is an honor to be chosen to represent the program and the University! We are all back from summer break and the seniors are beginning to figure out their next step. 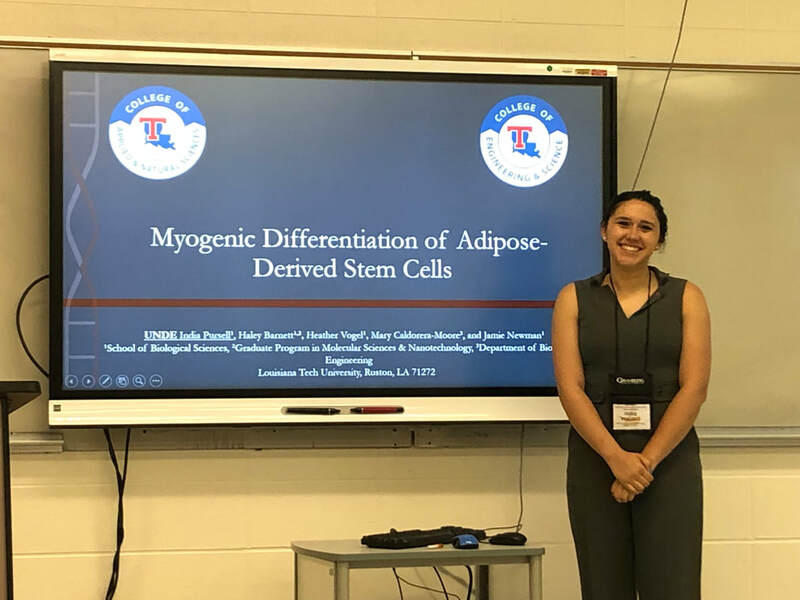 I am proud to congratulate undergraduate student, Hannah Logan, on her acceptance to LSU School of Medicine in Shreveport! 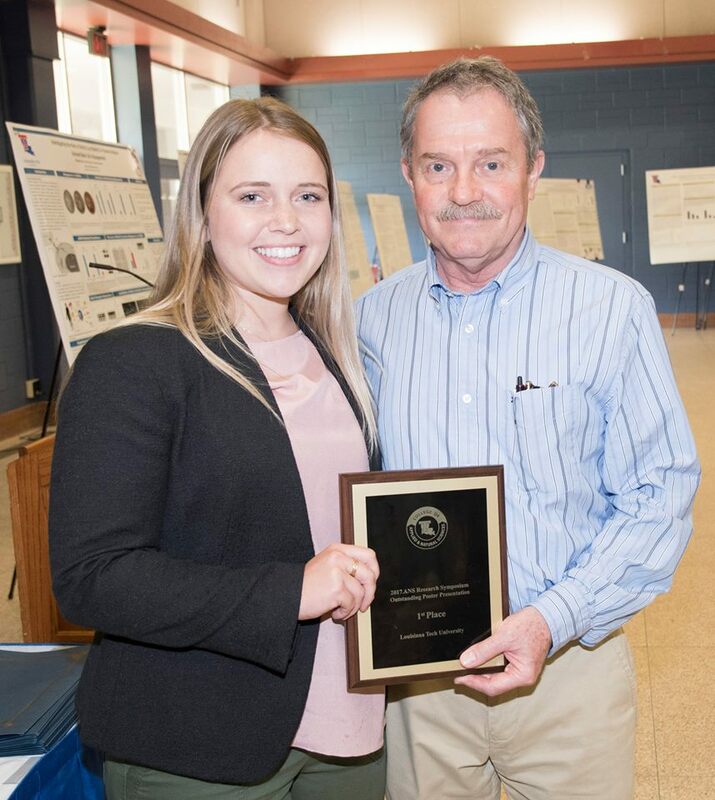 Hannah has been working in the Newman Lab for almost 2 years and in that time has demonstrated an initiative and dedication that is admirable. 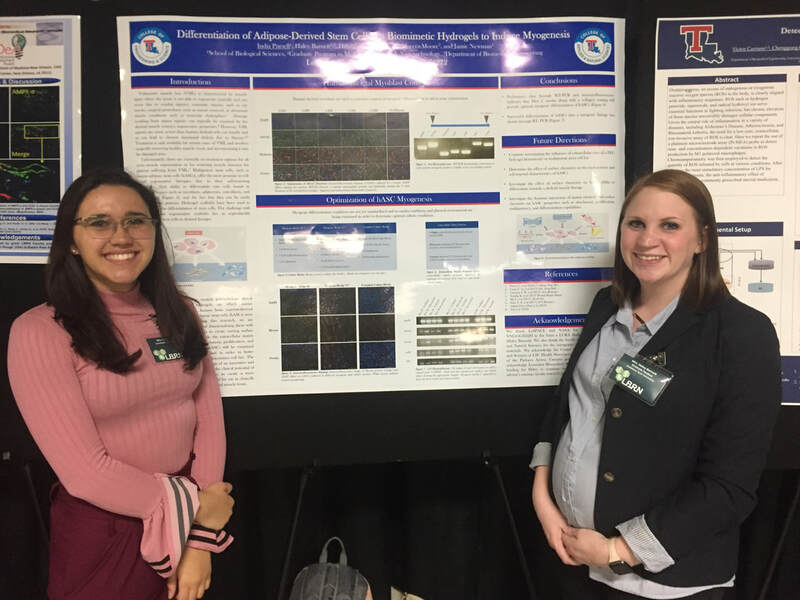 She has been awarded a CBERS Award for Undergraduate Research and recently accepted the challenge of completing an honors thesis, following in the footsteps of another strong undergraduate, Rachel Eddy. I am so proud of Hannah and can't wait to see what she does next! Congratulations on your acceptance to medical school, Hannah!! !